Last seen flying through the sky in a giant elevator in Charlie and the Chocolate Factory, Charlie Bucket's back for another adventure. 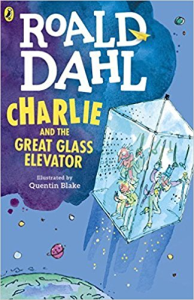 When the giant elevator picks up speed, Charlie, Willy Wonka, and the gang are sent hurtling through space and time. Visiting the world’' first space hotel, battling the dreaded Vermicious Knids, and saving the world are only a few stops along this remarkable, intergalactic joyride.